As Spring hits Japan, so does the hiring for most Japanese companies, not excluding Square Enix. 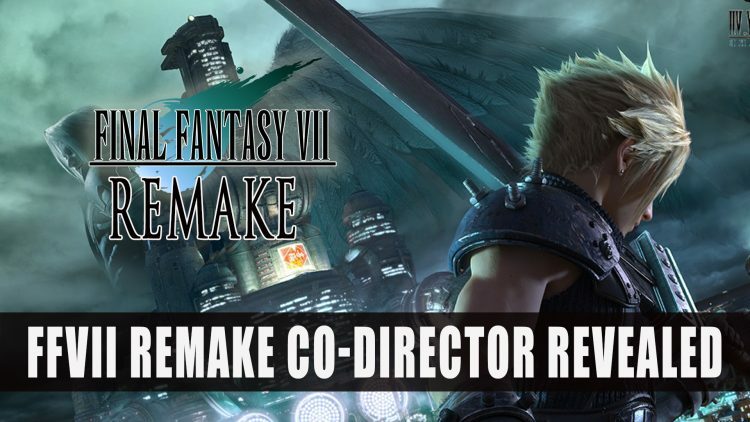 We finally find out who will be taking the position of Co-Director for the highly anticipate Final Fantasy VII Remake. Naoki Hamaguchi has already had a fair amount of experience when it comes to the Final Fantasy VII Remake as he was Project Lead since 2017. He now gains a more prominent role with the announcement. He had previously worked on the Lightning Returns Final Fantasy XIII as a Main Programmer as well as the mobile game Mobius Final Fantasy which later released on PC via Steam. For now there is no news on the release window for the Final Fantasy VII Remake, with Director Tetsuya Nomura now focusing on the remake after the release of Kingdom Hearts III earlier this year. He has previously said that he was considering the compilation titles for Final Fantasy 7. Final Fantasy VII the original version released on the Nintendo Switch on March 26th this year. Final Fantasy 7 was originally released in 1997 and later released on PS4 in 2015. If you’re craving more Final Fantasy games, don’t miss out on Top 5 Upcoming RPGs April 2019 which include some classic titles coming to new platforms. You can also check out Final Fantasy VII Comes To Switch In March And Final Fantasy IX Launched Today.